If you are flashing stock firmware, it is possible to accidentally trigger the Factory mode. It is when a black window with yellow characters floats like an overlay. The windows displays hardware version info. It is not possible to remove or close it. It is always there except when an application is opened. WiFi keeps turning off and some applications refuse to launch. This mode is used in <surprise>! in the factory for testing. Turning on Factory Mode comes from a possible corrupted EFS folder (well mine was corrupted). To remove this or switch back to user mode, you must be rooted. Don’t worry, this seldom if ever happens on Samsung stock firmware. 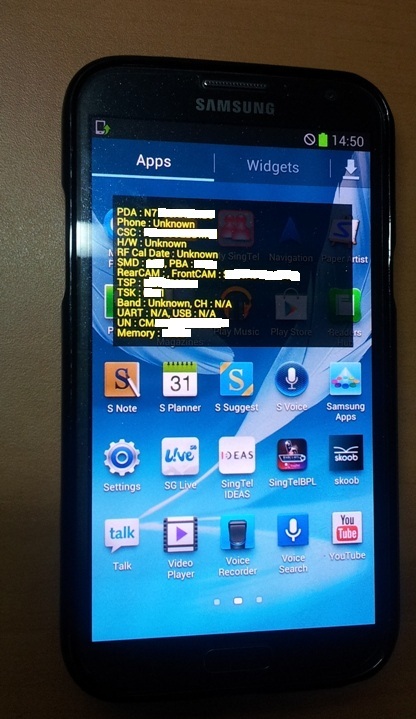 The phone above was a N7105, it is possible to perform this on other phones. Reset and you are back to user mode.